This statistic shows the result of a survey on how concerned Norwegians are about a terror attack occurring within the next five years in their own country in 2017. 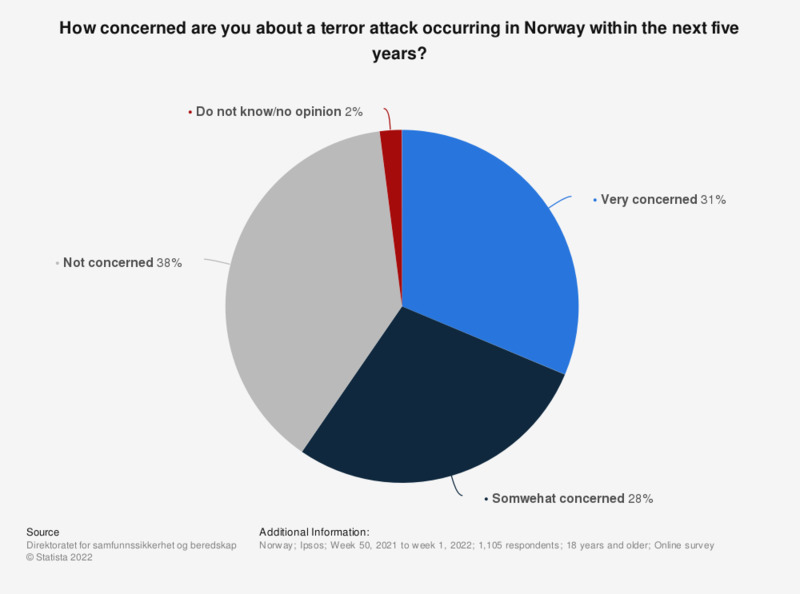 In this year, 37 percent of respondents were very concerned, while 33 percent of the Norwegians were not concerned about a terror attack occurring in their own country. The original question was phrased by the source as follows: "Når du tenker på Norge de kommende fem år, hvor bekymret er du for at følgende hendelser inntreffer?"